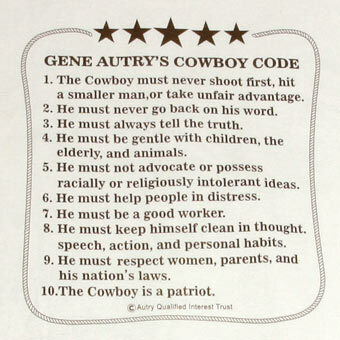 Gene Autry's Cowboy Code, sometimes referred to as the Cowboy Commandments, is a code of conduct to live by. Now your wardrobe as well as your actions can reflect these lifestyle guidelines from America's Favorite Singing Cowboy. 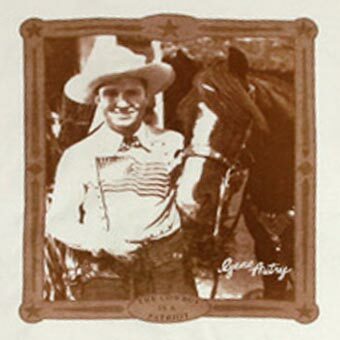 The front features Gene Autry and his horse Champion and the back lists the Cowboy Code for all to read.